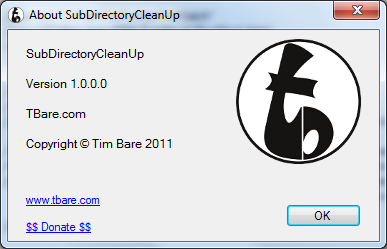 --SubDirectory Cleanup is an application that allows you to quickly and easily clean up old files from FTP folders, Job Folders separated by Company, etc. 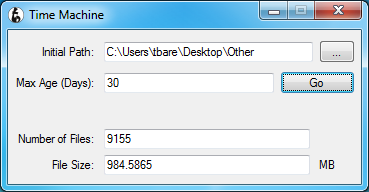 whose age is greater than a specified number of days, and log it all - for FREE! Just want to see how many files in a folder & sub-folders are older than [x] days? Just run ! it's a really simple, self explanatory app. Download it now! Long story short, I was tasked with creating a program that creates folders for jobs based on company and job number to distribute files for the customer to review. So I was tasked with creating a program that goes in, and checks if ALL the files in the job folder were older than 30 days, wipe out that job folder, and everything in it. 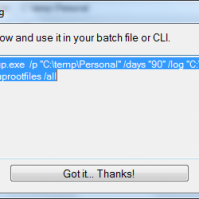 /path - [also '/p'] "C:\Path\To\Folder\To\Watch"
/log - [also '/l'] "C:\Path\To\LogFile.txt"
/deleteall - [also '/all'] If set, program will remove ANY files that are older than date specified. 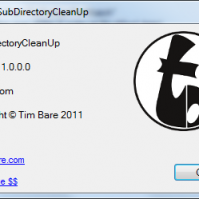 If not set, will only delete Level 2 folders if ALL files and subfolders in that directory are older than specified age. - /path "C:\Path\To\Watched Folder" -- Goes into each subfolder (Level 1) under "C:\Path\To\Watched Folder"
- If not, go on to the next one. 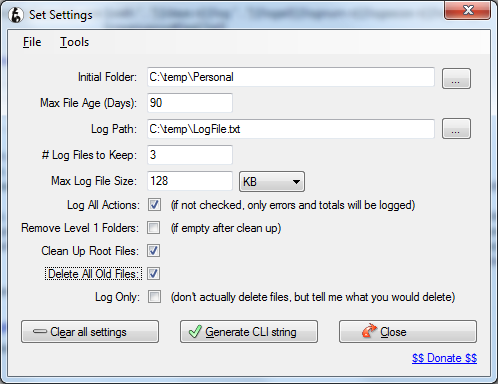 - /log "C:\LogFile.txt" -- Logs errors to "C:\LogFile.txt"
- /logall -- Logs each file deletion to "C:\LogFile.txt"
- /logssize 262144 -- Starts a new log file when initial reaches 262144 bytes (256KB), renaming the older one to "C:\LogFile.txt.1"
With paths changed, this is the exact string i'm using for my "Why did I write this?" scenario above.